to customize one for you if needed. So many of us look in the mirror everyday and see things we wish we could change. Depending on where we are in life often direct either a slight change or something more invasive. The art and skill of cosmetic enhancements has increasingly grown more popular over the years as people work harder to fight off aging. This overwhelming interest has created many new techniques for achieving that "more vibrant" look. Today, they are safe, convenient, and affordable. When we think of "cosmetic improvements" we all think of Botox to minimize facial lines and wrinkles. This is but only one type of non-surgical treatment available. There are several others that span the spectrum of wrinkle reduction, returning skin to a healthy state, eliminating acne, removing sun spots and more. Patients now have several choices for making changes to what they see in the mirror. Our facial skin is constantly exposed to environmental elements and pollution. It is attacked by stress, nutritional deficiencies, smoking, UVA/UVB exposure, and diminishing hormones. Medical issues of the skin also contribute to lasting damage that can lead to scaring. These factors contribute to reshaping or facial skin and fostering the aging process. We lose elasticity, natural oil, skin tone, and overall vibrancy. We develop undesired lines and wrinkles, dark spots, large pores and other imperfections that are not always attributed to "just growing old." Unhealthy skin not only promotes aging but presents a risk for more serious health problems. At Renewal Skin Solutions, we work with you to reverse damaged and unhealthy skin, premature aging and other imperfections through a variety of procedures and non-surgical services. When skin regenerates and becomes healthy at the cellular level, it exhibits a brighter and more youthful look. Improved appearance then becomes a "stepping stone" for improved health. 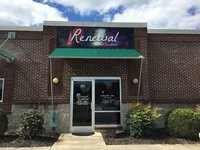 The services developed for Renewal Skin Solutions stem from the needs of our patients at Cumberland Family Care. Our family medicine practice continually focuses on promoting therapeutic habits and lifestyle changes to achieve improved health. We have learned from personal experience, that when people (young or old) like what they see in the mirror, they become motivated to make these positive changes. Ultimately, we notice improvements to the patient's health both physically and emotionally. 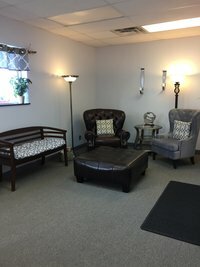 The services at Renewal Skin Solutions focuses on providing a variety of methods for promoting healthy skin, developing and maintaining a smoother, more youthful complexion and giving patients the opportunity to learn more about the importance of achieving and maintaining an overall healthy lifestyle. 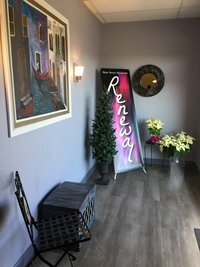 From invasive procedures for both medical and cosmetic needs to non-invasive techniques using the latest technology in skin cell regeneration and the treatment of both adolescent and adult onset acne, Renewal provides extensive options for all ages. The office provides an atmosphere where patients have the opportunity to receive a confidential evaluation based upon their personal goals. The surroundings are soft and comforting, with relaxation a priority. Come in for a visit and feel free to get more information on our services or talk to any of our staff at the Sparta clinic about Renewal. Consultations are by appointment and free of charge. Feel free to call with any questions or schedule a free consult.